It's getting chilly outside, the nights are drawing in and the skies are full of honking geese flying south, that can only mean one thing, summer is gone and winter is looming. With winter comes Christmas!! Now I know it's only mid October so there is still loads of time, but I don't know if its the weather making me want to get cosy but I'm starting to feel a bit of a glow and excitement for Christmas. This year I want to make more of an effort, with decorations, cooking and creating all those little things that make a house feel more like a homely Christmas. I am officially declaring 2013 as my homemade Christmas and I'm so excited about it. So where better to start than the humble Christmas tree decoration, even better as they are relatively quick and help get you in the spirit of Christmas....not that I think I need it. Getting your tree and decorating your house is one of the most exciting parts in the run up to Christmas, who else feels depressed at how empty their house looks and feels come the 5th of January?! 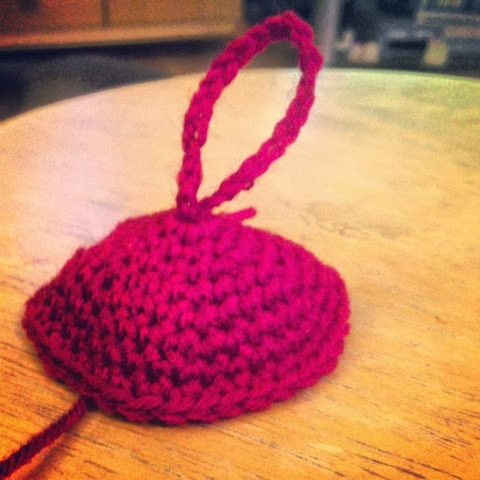 Thanks to a bit of surfing on Pinterest and Ravelry I found my first make. 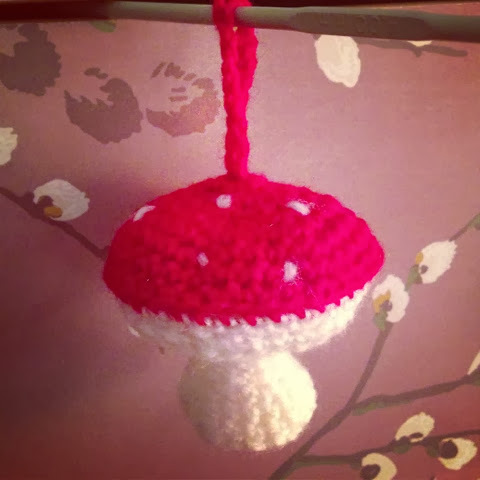 A cute little toadstool crochet pattern. 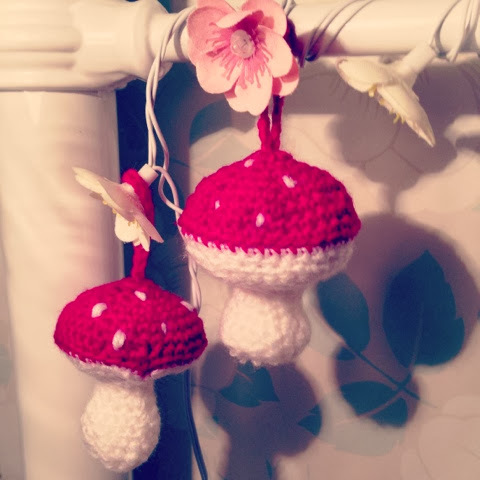 I'm not quite sure how relevant toadstools are to Christmas but it is super cute. I was lucky enough to get the pattern free from Ravelry - www.ravelry.com from Drops Design, Garn Studio. 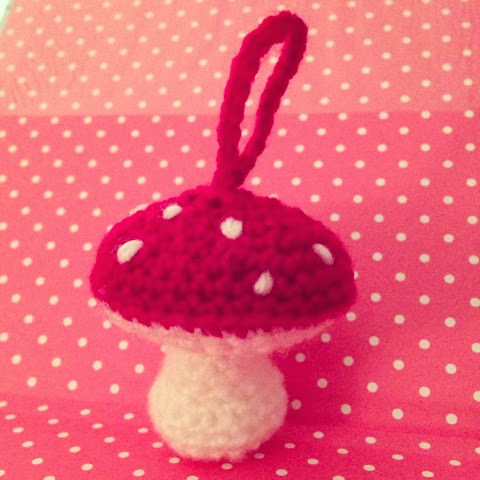 Those of you who read my blog know I'm no crochet queen but I am getting better. 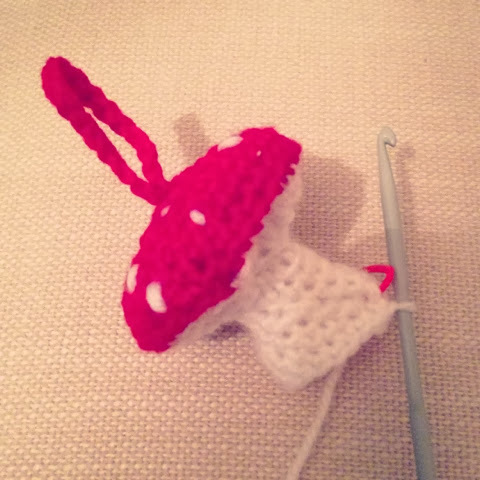 I admit my first toadstool looks rather questionable but I'm pretty happy with the second one! 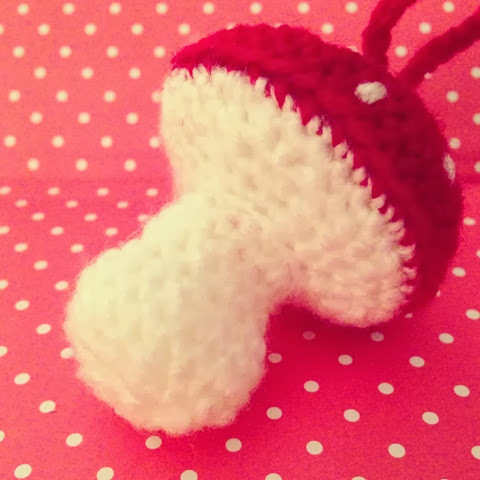 Toadstool #2 - now that's more like it!